Wide Handlebars Road Bike - click here to find out your ideal handlebar width. Zinn's Big and Tall Bike shop is now offering extra wide handlebars for road bikes and cyclocross handlebars. 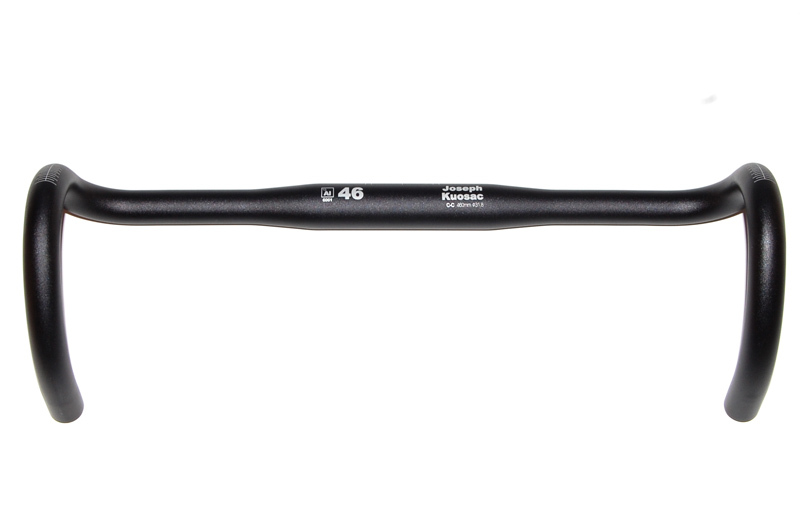 We have JK Professional drop bars in 47cm and 48cm. All are measured center to center, and they are available in two Reach/Drop (R/D) options. 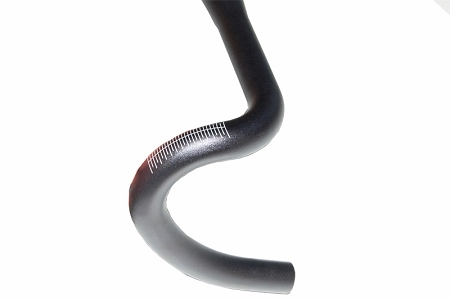 No other brand makes a 47cm or a 48cm wide road bike handlebar. No longer do tall cyclists have to rely on a handlebar that isn't wide enough for broad shoulders. To decide on your ideal handlebar width, measure the distance between your shoulders from the center of each shoulder. Round to the nearest bar size to get your ideal. Personal preference is also important, so If you prefer a little narrow, go down a size, if you prefer a little wider, go up a size. These are also great for mountain bikers who are getting into cyclocross since mountain bikers are generally used to wider handlebars. Great quality handlebar! One customer would like a lower ergo (flat) area for his hands in the drops and also a recessed slot at the top for the cables. Overall...very nice bar! 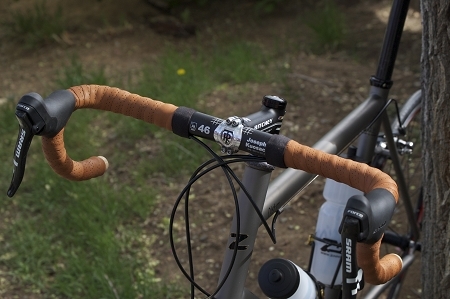 the 48CM JK wide road handlebar is perfect for "broad shoulders". Wear a 50 Jacket here so broad shoulders and these road bars I can ride "all day" plenty of space on top bar for "big hands"
This is the third handlebar that I have bought. Am 6'4" and have a custom made Waterford touring bike. During my last long distance ride my Zinn handlebar bent up. Replaced it since Zinn sells the only handlebars for tall bikers. During the reorder, I called after one week to find out status and they then shipped the part. While I have had generally a good experience with this, must advise their products do not have any warranty with them and I suggest you call to confirm any orders and ensure they are processed.